Completing the au Bresil Collection from L'Occitane is the Vitória-Régia Day Flower range . Where the Vitória-Régia Night range is sweet and floral the day collection is a green and fresh floral which is every bit as fragrant. Enriched with shea butter, this light cream hydrates hands, while leaving them delicately perfumed with the green, aquatic floral notes of the Vitória-Régia Day Flower fragrance. It contains a vitória-régia extract from the Amazônia region of Brazil. The smooth Vitória-Régia Body Lotion melts rapidly into the skin leaving it soft, supple and pleasantly perfumed with aquatic floral notes. 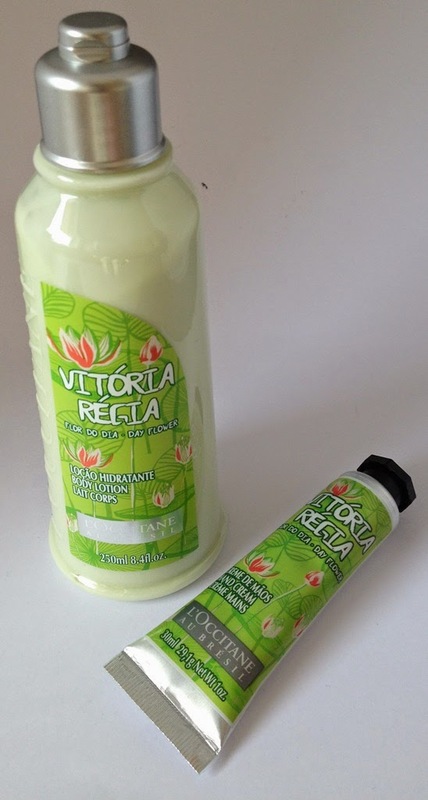 Contains Vitória-Régia extract typical from Amazônia. The day lotion has a fabulous and delicate fresh scent that is mirrored in the hand cream. 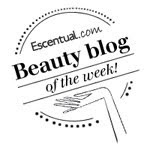 Both are light to apply but absorb fast leaving silky smooth, soft skin that smells wonderful. I love the size of the hand cream, perfect to travel with. The au Bresil collection is quite simply gorgeous and my love affair with L'Occitane products continues..